You’re in for a special treat today, my friends. We get to have a real life illustration from good ole US history about today’s passage. I bet you can hardly wait. In Luke 14: 28-30, Jesus tells the story of a man building a tower. Jesus warns that anyone who starts a project like that should make sure they have enough funds on hand to finish, otherwise they might only finish half of it and leave a concrete testament to their gooberiety. Never would happen you say? There’s always bank loans and what not to finish? Oh, how wrong you be. Fast forward to the 1960s. There was a famous televangelist based in Akron, Ohio named Rex Humbard. He was arguably the first of the crew of televised preachers that would gain prominence in the 70s and 80s, and he ended up being quite successful, with broadcasts on over 600 stations worldwide. However, in the mid-60s, he decided that what his ministry really needed was a tall rotating tower with a restaurant on the top. We can all agree how important that might be to reaching the world for Christ (in seriousness, the tower would double as a broadcasting antenna, so it wasn’t completely bogus). 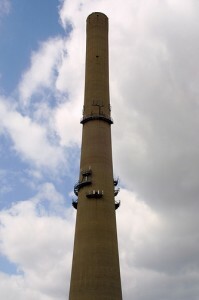 The tower was supposed to be 720 feet high, but when they got to 560 feet, several events conspired against the ministry. In the first place, there was a chance to expand the radio broadcast into South America, and the leaders wondered if that might be a better investment than the buffet-o-rama (ya think?). Secondly, and less inspiringly, the SEC began to investigate the ministry for fund-raising improprieties, namely selling bonds in the ministry without going through licensed brokers (gotta love those fun-loving SEC guys). CAN YOU FINISH WHAT YOU START? So, regardless if you prefer the positive or negative reasons, the tower was left unfinished. For years it sat as a reminder of what happens when ministries lose their focus. In the end, the tower was sold to another ministry, then resold several times until today it servers as a cell tower. Jesus calls us to count the cost before we embark on our Christian walk. Yes, He promises to walk with us through it all, but that doesn’t mean there won’t be tough times. Sometimes the price of following Jesus is very high, maybe even your life. He calls us to carefully consider what we are signing up for before we claim to be His disciple, lest his followers look like goobers to the rest of the world. Are you counting the cost today? Jesus is teaching on various subjects like mustard seeds, yeast, and how watering donkeys is related to healing. Suddenly, he is warned that Herod, the king, is look for him to kill him (which is kind of odd, since we learned a little earlier that Herod wanted to see Jesus to see if he was John the Baptist or to watch him do a miracle). In any case, we tend to read this verse as a warning from Jesus’ friends: “watch out, Jesus. Herod is coming for you. Time to hit the road.” Here’s the ironic thing: this wasn’t Jesus’ friends who told him to run. It was the Pharisees. So now we have to ask ourselves why these people who were looking for a way to trap Jesus would suddenly warn him. Option one: these Pharisees were friends of Jesus. There are several occasions where Pharisees became followers of Jesus, particularly Nicodemus. So, there is the chance that these were some Pharisees who were honestly looking out for Jesus’ well-being and wanted to help. Option two: the Pharisees had ulterior motives. Jesus was most likely preaching in Perea at the time, an area to the east of Judea and Jerusalem that was under Herod’s control. However, if Jesus were to flee this area into Judea (Jerusalem), he would then be under the nominal control of the Roman governor, and more specifically within the reach of the Jewish leadership. In other words, the Pharisees may have been trying to frighten Jesus into leaving Perea and running into the realm of their control so they could nab him. Regardless, Jesus frustrates their plans with the casual dismissal of Herod as a “fox,” a term for a sneaky but ultimately worthless person. Jesus wasn’t going to be deterred from his purpose by the threat of temporal authority, either from Herod or the Pharisees. He knew what He was called to do, and He wouldn’t allow anything to prevent Him from following God’s plan for Him. What is trying to dissuade you from your purpose today? We live in a world that has raised worry to an art form. And not just any art form, but the greatest art form known to the world: television. Shows started out telling the news, bad or good. Then we realized that just focusing on the bad news got higher ratings, so we we focused on that. Then we realized there wasn’t enough bad news locally to fill 24 hours a day, so we expanded to national and world news. 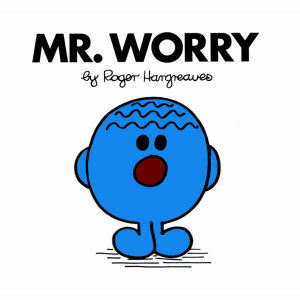 We love to worry. It makes us feel that we are prepared, and plus it helps to raise those all-important stress hormones in the body to help us build up an extra layer of flab for the coming times of winter starvation. Unfortunately Jesus seems less enthused about our penchant for worry. In fact, he seems almost to take it to the level of irresponsibility. He tells in today’s chapter that we shouldn’t worry about food, shelter or clothing, which seems kinda crazy until you remember that the Israelites in the desert had clothes and shoes that didn’t wear out for 40 years and food that just showed up on the ground in the morning. Maybe Jesus knows what he’s talking about. This isn’t to say that we shouldn’t work hard to get ready for troubles ahead; Jesus also talks about counting the cost before setting out on a venture. But the point is that hoarding for an imaginary disaster that may or may not happen is not God’s will. He suggests (sounds better than commanded) that we give our possessions to the poor and store up supplies in heaven instead. The preparation isn’t wrong; it’s the nagging worry that God won’t take care of us, so we have to do it ourselves that seems to be the point. Could you live without a savings or retirement account? Do you trust God to provide your needs when you need them?